Beta-adrenoceptor blocking agents or simply beta-blockers are medications used to treat hypertension, angina, abnormal heart rhythms, and congestive heart failure. Your doctor may also prescribe beta-blockers if you have had a heart attack in the past – the medication helps prevent future heart attacks. They work by decreasing the activity of your heart, and it is achieved by interfering with the production of hormones like adrenaline. These are prescription-only medicines, so you can get them only when your doctor prescribes one. They work quite effectively, but there are certain side effects, especially when you mix beta-blockers and alcohol. Is It Okay to Mix Beta Blocker and Alcohol? When you are taking a beta-blocker, it is important that you avoid alcohol as much as possible. The idea behind taking beta-blockers is that it slows down your heart rate and ensures that your heart does not beat with great force. When your heart rate is low, your blood pressure drops as well. In this situation, drinking alcohol can make your blood pressure drop even further. If it happens, you may feel dizzy and even faint. 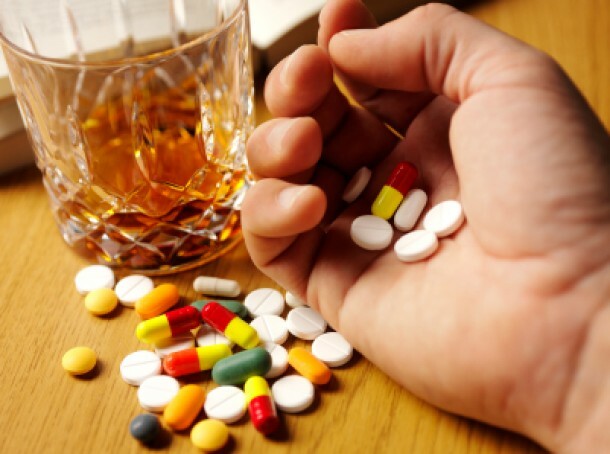 It is worth mentioning that beta-blockers are now used to treat alcohol withdrawal syndrome. Atenolol is one of the most effective beta-blockers used to treat this condition. Taking it helps reduce severity of symptoms of alcohol withdrawal syndrome, such as tremors, agitation, and altered vital signs. Is It Okay to Mix Caffeine with Beta-Blockers? It is not a good idea to mix beta-blockers and alcohol, but is it the same for caffeine? Beta-blockers have anti-anxiety effects on your nervous system, but the effects will be reduced if your caffeine intake is on the higher side. Beta-blockers such as metoprolol and propranolol, which are usually prescribed to treat hypertension and heart disease, are more likely to interact with caffeine. It is, therefore, important to talk to your doctor and ask them about appropriate caffeine intake while you are taking beta-blockers of any type. Beta-blockers and alcohol is not a right combination, but these medications can also interact with other drugs that you take. It is of immense importance to inform your doctor about any other medicines or herbal supplements you may already be taking before you start taking beta-blockers as well. Certain medicines can decrease or increase the effects of beta-blockers. For instance, the effect of beta-blockers may get enhanced if you are also taking other medicines to treat hypertension. Similarly, allergy shots, certain anti-depressants, and medicines to treat diabetes may interact with beta-blockers. Medicines to treat chronic bronchitis, asthma, COPD, or emphysema may also change the effectiveness of beta-blockers. Moreover, it is a good idea to avoid OTC cough and cold medicines, antacids that contain aluminum and antihistamines when you are on beta-blockers. Beta-blockers really help reduce blood pressure, but they are usually not the first choice for doctors to treat hypertension. It is mainly because many other medicines are now available that perform better at reducing the complications of hypertension, including heart attack and stroke. They are more likely to prescribe medicines, such as angiotensin-converting enzyme (ACE) inhibitors, diuretics, and calcium-channel blockers to treat hypertension because they are more effective when it comes to preventing heart attack and stroke. There are certain situations when your doctor opts for beta-blockers. For instance, they prescribe one if you are under 55, you cannot tolerate other types of medications, or you have other heart problems as well, such as angina. Beta-blockers are also more suitable for women trying to get pregnant. Beta-blockers change the way your heart works and your body adapts to this new system. It can be harmful to stop taking these medicines suddenly because it will shock the body. Your blood pressure may also go up suddenly and you may experience palpitation as well. Stopping your medicine abruptly may also make angina worse. Talk to your doctor if you want to stop taking beta-blockers for some side effects. They will give you other medicines while you slowly stop the beta-blocker. While most people do not experience any serious side effects, some may experience certain side effects that usually go away over time. The most common side effects of beta-blockers are low heart rate, tiredness, lethargy, diarrhea, cold hands and feet, nausea, and sleep problems. Depression and erectile dysfunction are other less common side effects of beta-blockers. While you usually gain weight during the first few months of use, it may still be a bit noticeable for others. You may gain about two and a half pounds after you start taking these medicines. Exactly why you gain weight after taking beta-blockers is not clear, but experts believe that it happens because your metabolism begins to work differently after you take these medicines. You may feel lethargic when taking beta-blockers and with reduced activity, you will eventually put on some weight. Why Do You Feel Hungover When You Don't Drink? Why We Should Not Legalized Marijuana?